**PHENYLKETONURIA - information Phenylalanine less than 70 mg/100 g flour mix, which corresponds to approx. 37 mg/100 g finished bread. This whole grain and milk free flour mix can be used in the same way as regular rye or whole grain flour. Perfect for whole grain bread and pies. The flour mix is rich in fiber and contains both beet fiber and buck wheat flakes which make the bread moist and wholesome. In addition to baking bread this flour mix is also great for cooking dishes such as sauces, pot dishes and porridge. As the protein content is relatively low it is suitable for persons with reduced kidney function or diagnosed with Phenylketonuria (PKU). 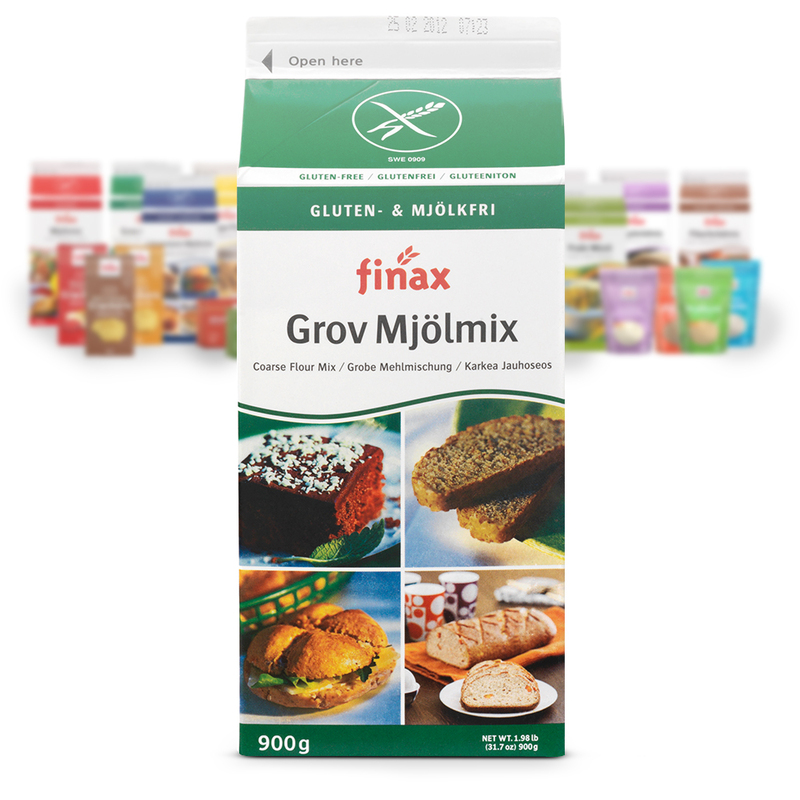 The flour mix can be used as a normal whole grain flour by adjusting your recipe to include the right amount of Grov Mjölmix.